Since the time of the Roman Baths, people have travelled for health and relaxation. According to the Global Wellness Institute, wellness tourism is the fastest-growing travel sector. 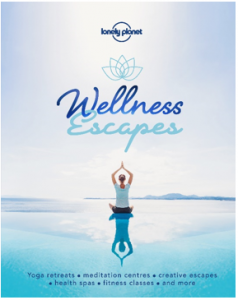 For travellers seeking self-care, global travel authority Lonely Planet has published Wellness Escapes – a guide to wellness getaways around the world. From yoga retreats in India to hot spring resorts in Australia to Buddhist meditation temples in Korea, readers can now discover 200 of the most inspiring ways to replenish mind, body and soul. Providing both insight and wisdom, Lonely Planet’s Wellness Escapes will help people discover more mindful travel experiences in no time.